Every webmaster should have this application installed on their phone. Not only can you view PDF files, but you can also view PowerPoint, Word and Excel documents. You can read the files immediately or save them to read at your leisure. FTP On The Go also lets users share files, upload images and edit files, right from their mobile device. The app is perfect for IT professionals, web designers and even those who blog as a hobby. This application allows you to work with PDFs like you were sitting in front of your computer. You can save documents to PDFs, scan images, sign and annotate forms delivered in PDF, and even download attachments to your smartphone. Additionally, you can highlight text, add comments with sticky notes and covert files to PDF format. 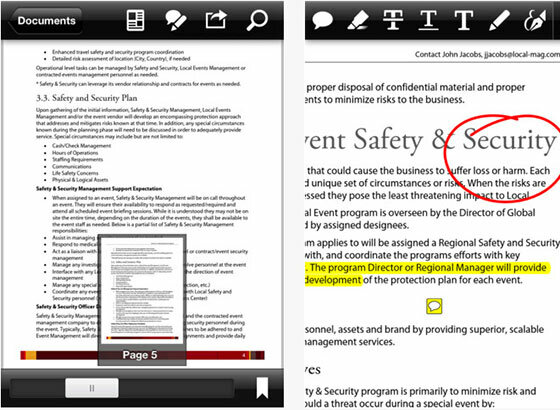 PDF Reader pro is so useful that it has been endorsed by Apple as an iPhone App for Business. Popular with graduate students, the app is also useful for business executives and those in the IT field. Grab your iPhone, navigate to your home screen and tap on the Documents to Go icon to read, edit and share your PDF files. This application gives you instant access to all of your Microsoft Office files 24/7. With Documents to Go, users can open PDF files, edit them, send and receive them effortlessly. 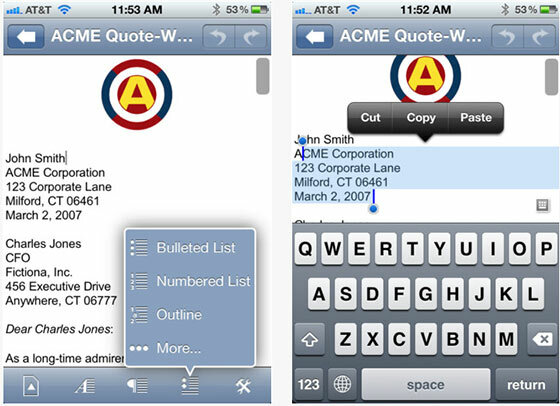 Features of the app include PDF thumbnails, fit-to-screen, fit-to-width, full screen and actual size views. The app also allows users to open PDF files that have been password protected. This app is also available for android devices. PC users are undoubtedly familiar with Adobe Acrobat. Adobe Reader is the official app of Adobe Systems and allows users to utilize PDFs in the same manner that they would on their personal computers. The app features a slew of amazing features previously unheard of in a PDF reading app. Users can view, share, navigate and annotate PDF files. Users can also fill out forms, organize documents and electronically sign documents as necessary. Adobe reader app is available in the 17 most common languages, making it useful to virtually everyone. 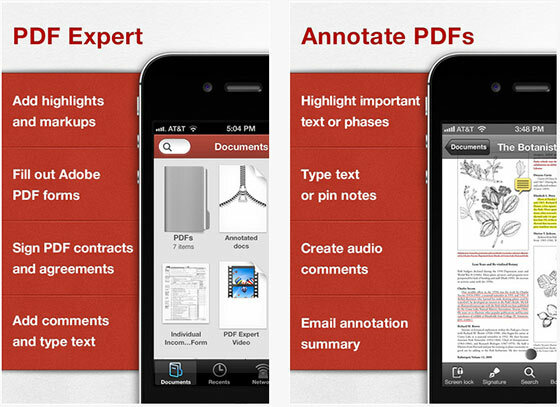 PDF Expert is often the go-to app for attorneys and business professionals. The features found in the app make it more than worth the low price tag. The myriad of features contained in this app include the ability to highlight text, draw with your finger, underline and strike-through words, fill-in forms and save bookmarks. Additionally, the app will read several document types, including those from iWork and MS Office. Users of the app report that it is close to Acrobat Pro in functionality and syncs perfectly with Dropbox. iBooks for the iPhone is not very much more than a basic PDF reader but is still worth mentioning. For those who need a simple app to read PDF files, this is the one. 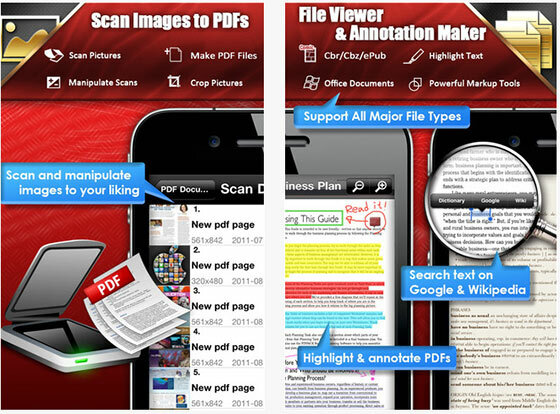 The scaled down app receives PDFs, installs a separate book shelf for the files and allows users to read them on the go. 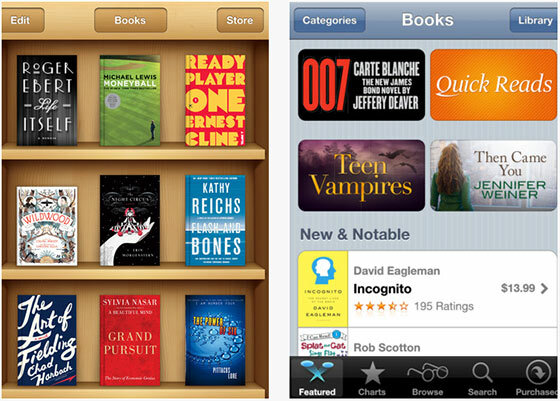 If you are looking for a simple app that has been stripped of the bells and whistles, iBooks is the one that you need. Because no one is tied to their computer 100 percent of the time, having applications that let you complete necessary tasks is important. If PDF files are a part of your school or business life, there are several apps that will ensure your ability to access your files no matter where you are. You can also Save Word files as PDF.